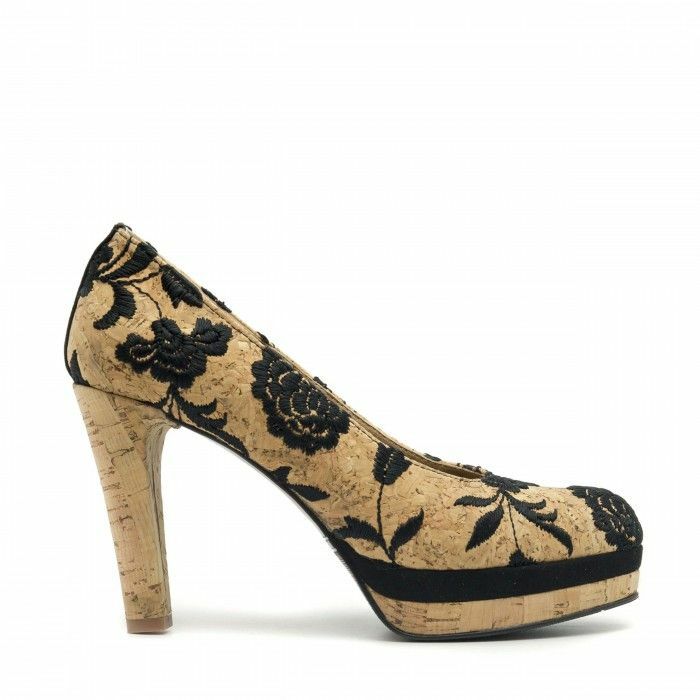 Women's vegan round-toe pump shoes made of cork embroidered in black cotton, with a heel and a concealed platform. Color: cork and black cotton. Sizing: Regular shape, please choose your usual size. 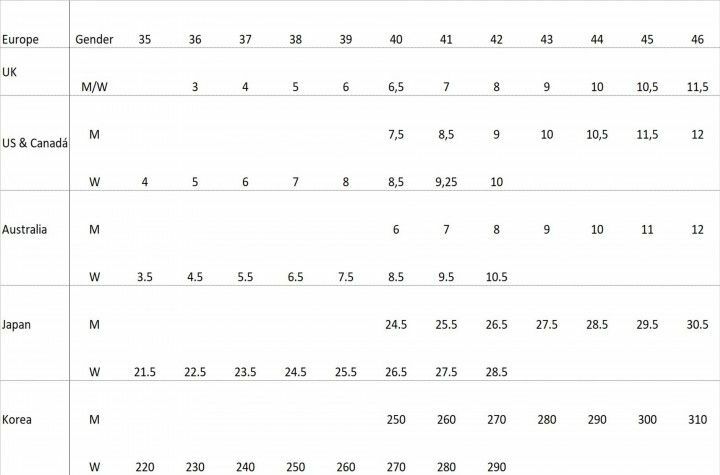 If you are a half size, please order up. For more details see the Size Guide. 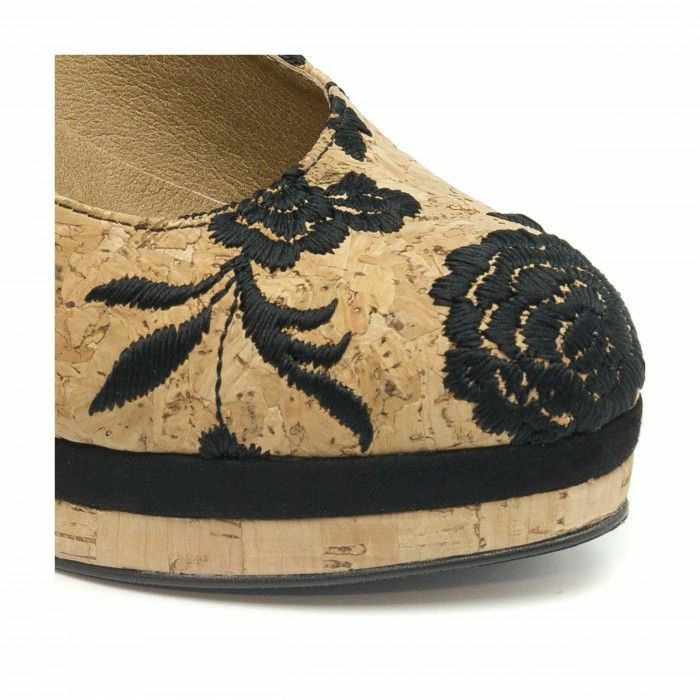 Upper: Cork embroidered in black cotton, a water resistant and fresh material. Has a black stripe on the back shoe (1,5 cm/0.6 in) made of ecological microfiber. Lining: Breathable and anti-allergy microfiber. Ecological, CO2 free manufacturing system. Insole: Paperboard agglomerate. Microfiber linned. Footbed not removable. Footbed not removable. 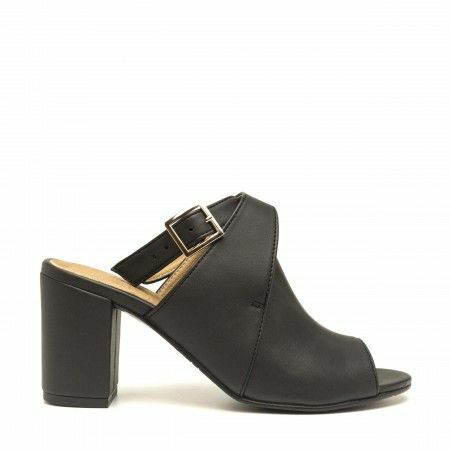 Heel: Cork , 10 cm/3.9 in. 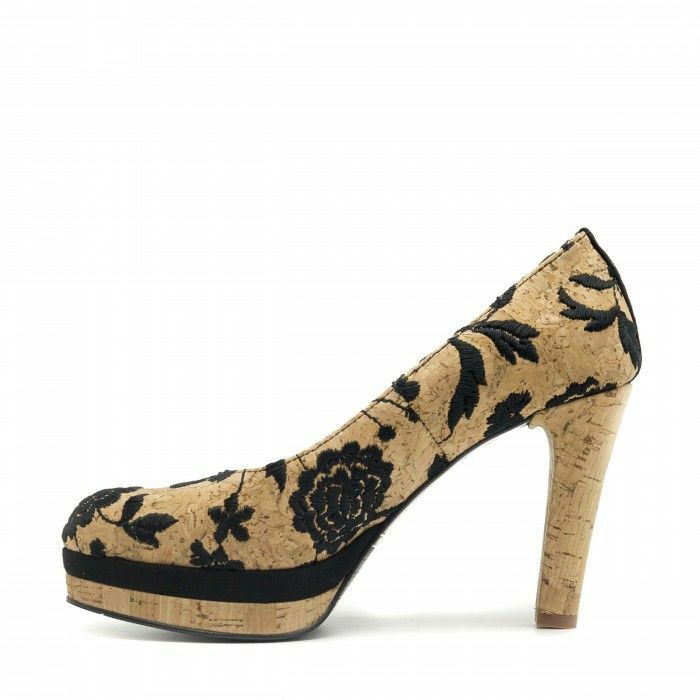 Platform: Cork, 2,4 cm/0.9 in. Outsole: Rubber. Made in Portugal.